Some of you may be familiar with my blog posts on “A View from the Top: A Virtual Prototyping Blog”. Those blog posts covered virtual prototyping. As of beginning of this year, I have however shifted my responsibilities to FPGA-based prototyping or physical prototyping. So I felt that it would make sense to pass on the torch of “A View from the Top” to my colleagues Pat Sheridan and Malte Doerper who are now leading the way for virtual prototyping. To write down my thoughts related to physical prototyping, I started a new blog under the name “Hitting the Mark”. Why “Hitting the Mark”? Well it points to my name: “De Schutter” which is Dutch for “Marksman”. 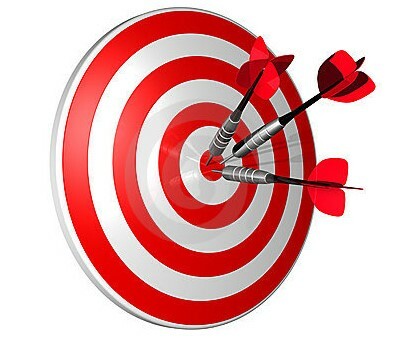 “Hitting the Mark” also refers to the value that FPGA-based prototyping brings by enabling earlier software development, hardware verification and hardware-software validation, thus enabling companies to achieve their target product requirements or thus hitting the mark for the product. In the coming months, I plan to update you on things that drew my attention, look into trends related to physical prototyping and offer colleagues in the industry a forum to give their view on the value of FPGA-based prototyping. I hope you will enjoy reading these blog posts.